Like children everywhere, Italian kids look forward to the arrival of the red-suited Babbo Natale on Christmas Eve. However, this relatively modern tradition pales in comparison to the anticipation generated by the arrival of an old witch in early January. On the eve of the Epiphany, the old, tattered and soot-covered Befana flies around the world on a broomstick and comes down chimneys to deliver candy and presents to children who have been good during the year. 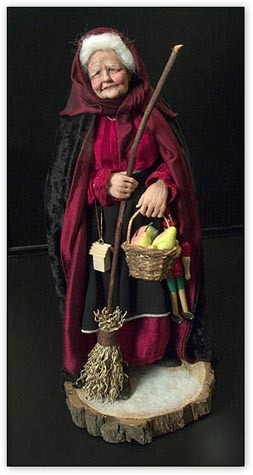 For those who have fallen a bit short of model behavior, la Befana will leave lumps of coal. La Befana has been an Italian tradition since the thirteenth century and comes from Christian legend rather than popular culture. 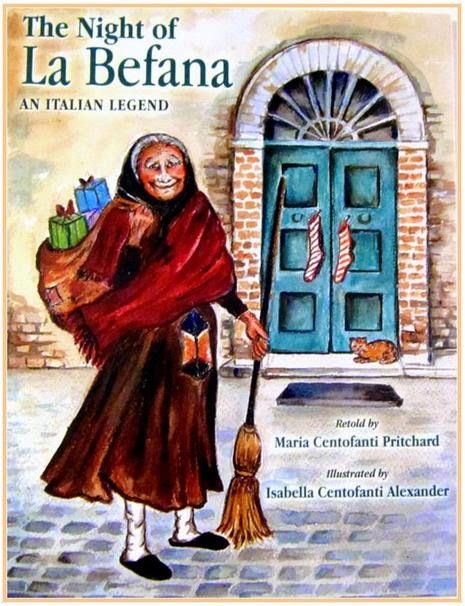 Although there are several versions of her story, my favorite is that la Befana was one of the inn keepers who turned Mary and Joseph away on their way to Bethlehem. Later she was approached by the Three Wise Men who asked her to lead them to the stable where the baby Jesus lay in a manger. La Befana was too busy cleaning her house at the time (that’s why she carries the broom), so she declined the offer to go with them. Very soon she realized that she had made a huge mistake, so she gathered up a bag full of gifts and sweet treats and set off alone in search of the baby Jesus. Though she followed the same star as the Magi, she was unable to find the stable. Undaunted, la Befana continues to travel the world over to this day searching every house for the Christ child, leaving gifts for kids along the way. On January 6, the first day of Epiphany, Italian children hold their breaths as they search their stockings for a sign that they have been good that year. Instead of milk and cookies, Italian families often leave her a glass of wine and a plate of sausage and broccoli. 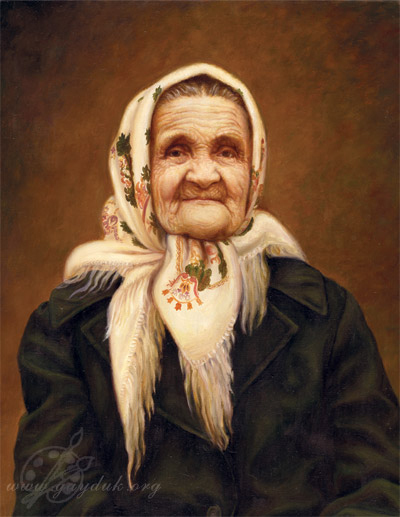 The arrival of la Befana is celebrated with tradition al Italian foods such as panettone (a Christmas cake) and marks the end of the long and festive holiday season in Italy. In Italy there is a saying ” L’Epifania che ogni festa si porta via” which roughly translated means “The Epiphany takes away all festivity”.